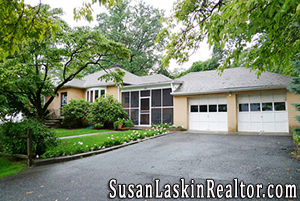 Lovely Ranch in Hillsdale, NJ for under $400,000! 111 Vincent Street in Hillsdale ($399,950!) is a Fantastic custom built Ranch located in a beautiful upscale neighborhood across from young Colonials! Large Country Kitchen, screened in Porch, and a rear yard that boasts exquisite flowers & magnificent foliage! Take a Virtual Tour! Learn more about this home! 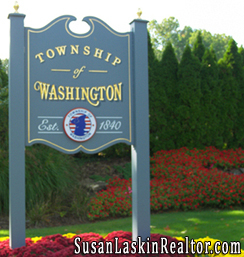 Thinking of buying or selling in Hillsdale, New Jersey? Read the latest Hillsdale NJ Real Estate Market Report! Learn more about the town here! Offered to both First Time Buyers as well as Current Home Owners, the Extended Home Buyers Credit has a wonderful tax saving opportunity for those who purchase a home before April 30, 2010. Learn more about the Tax Credit Program from my Newsletter. Looking for more helpful information? Read my Home Buying Tips & Home Selling Tips! Then browse through my Featured Bergen County Real Estate! Some incredible homes across the wonderful Bergen County, New Jersey towns! Park Ridge NJ Real Estate Market Report – A Look at October 2009! Park Ridge, New Jersey saw the sale of 6 homes during October 2009. The average List Price was $506,967. The average Sold Price was $479,127. The median Sold Price was $421,500. On average, homes that sold in Park Ridge NJ during October ’09 sold for 94.51% of the List Price. In addition, there were 5 Park Ridge homes under contract at the end of October. Their average List Price was $505,160. Compare these numbers to what happened last month! Browse through my Feature Homes! Some incredible listings in Park Ridge & other Pascack Valley NJ towns!